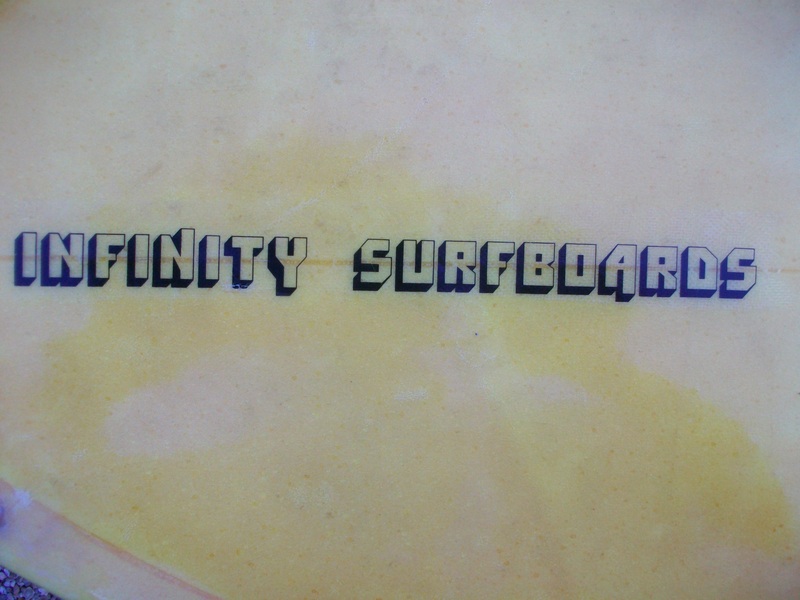 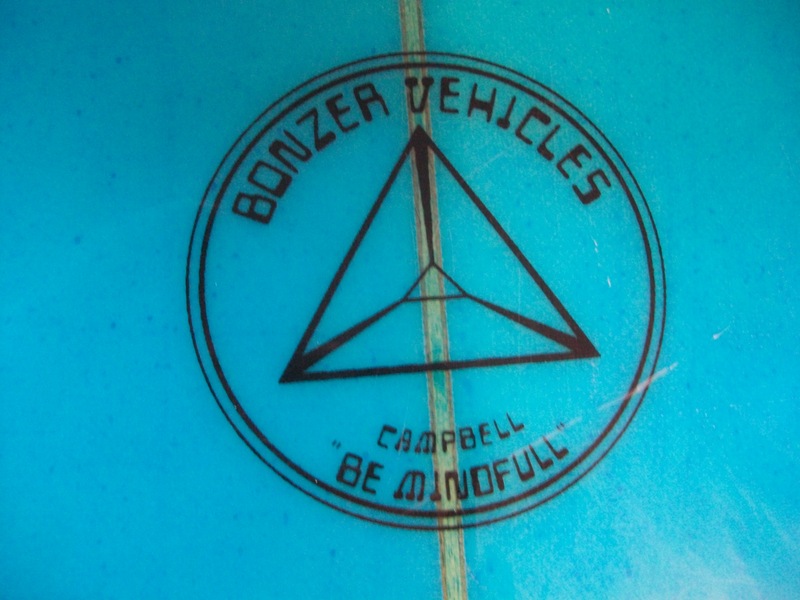 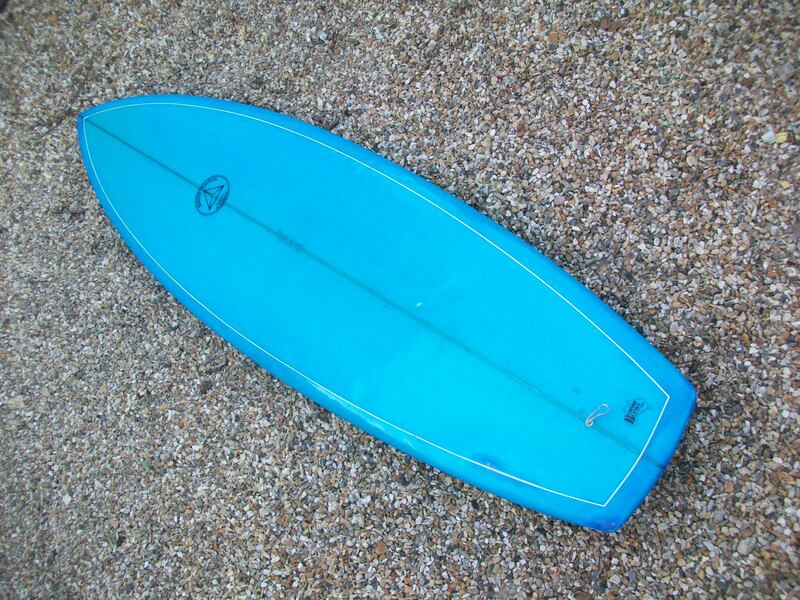 From the depths of the Bourne Valley Bournemouth bespoke handcrafted boards are crafted for free thinking surfers. 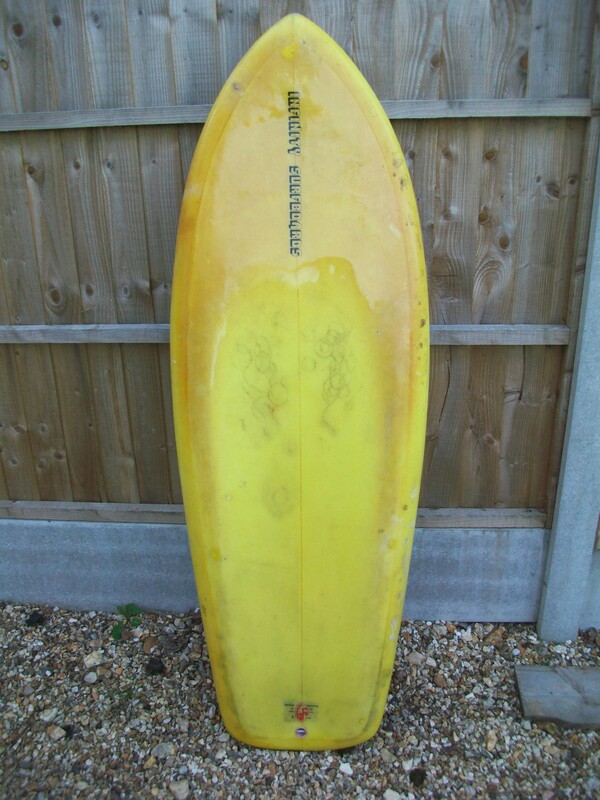 An AL MERRICK 8FT SURFTECH in for repair. 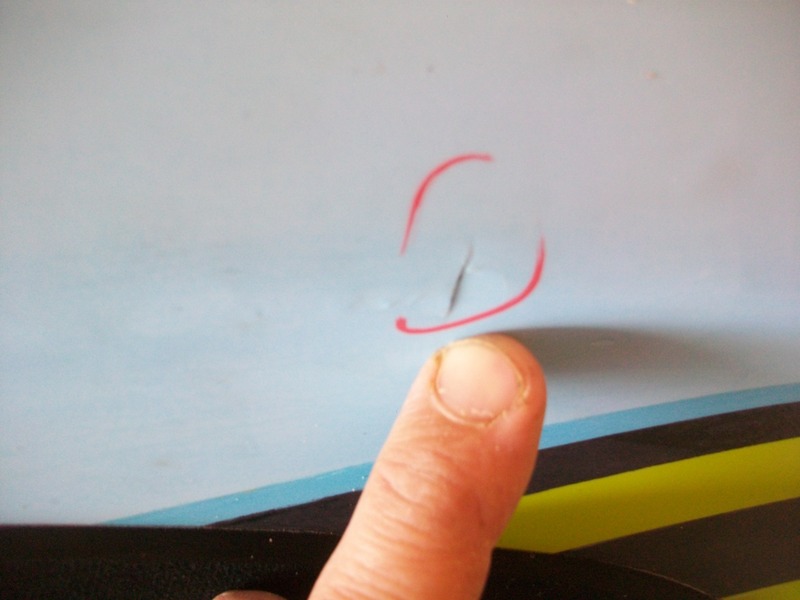 Nose damage and a small puncture. 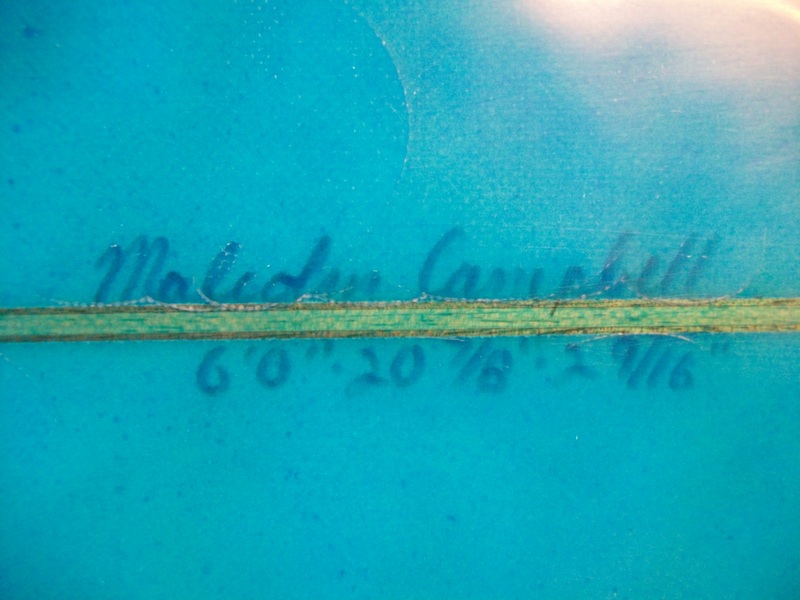 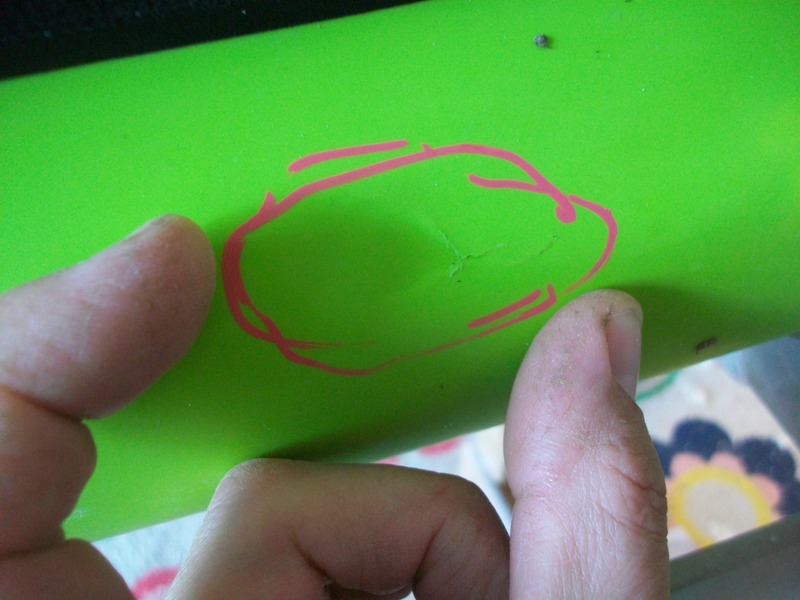 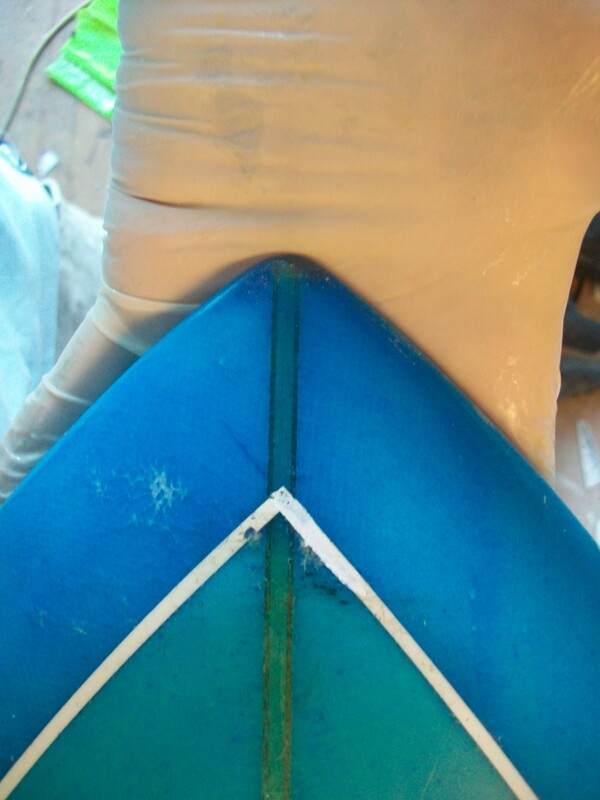 I added colour pigment to the resin to assist in hiding the repair – followed by a little paint and clear. 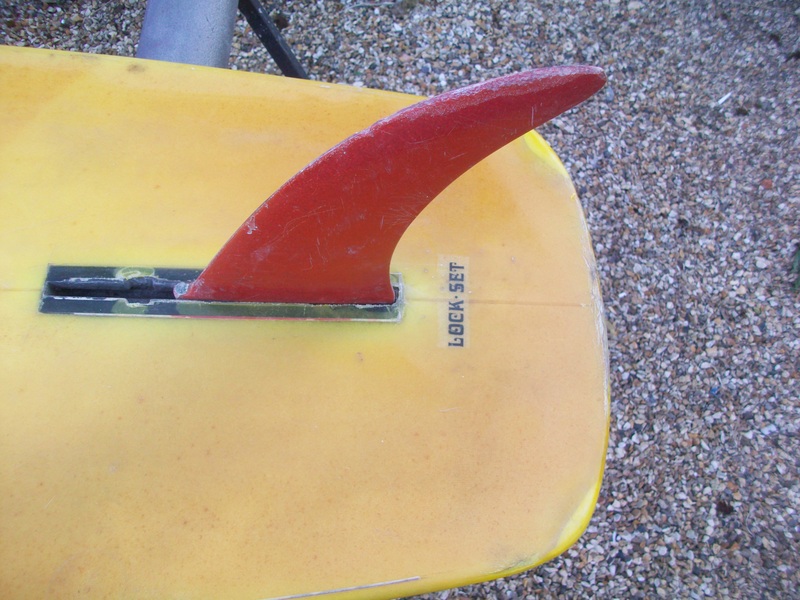 A local shallow reef won out against this fin plug. 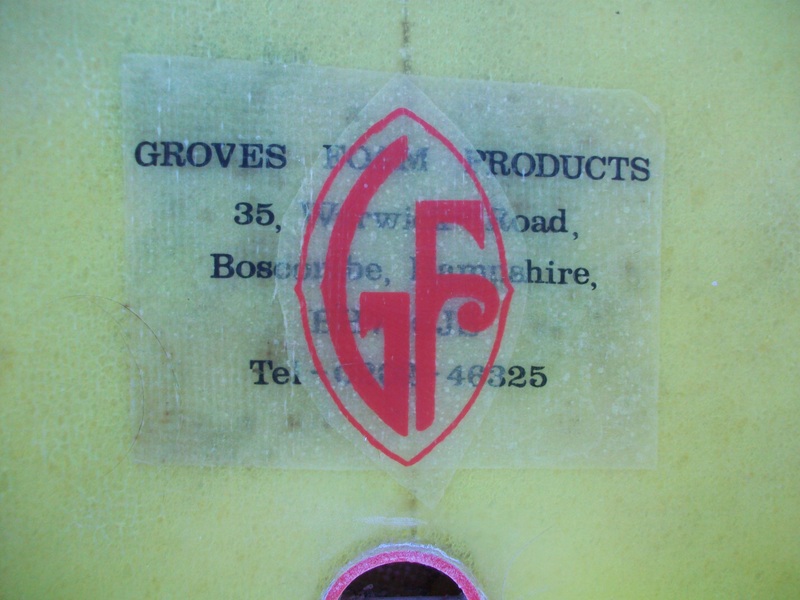 All sorted now enjoy Gina. 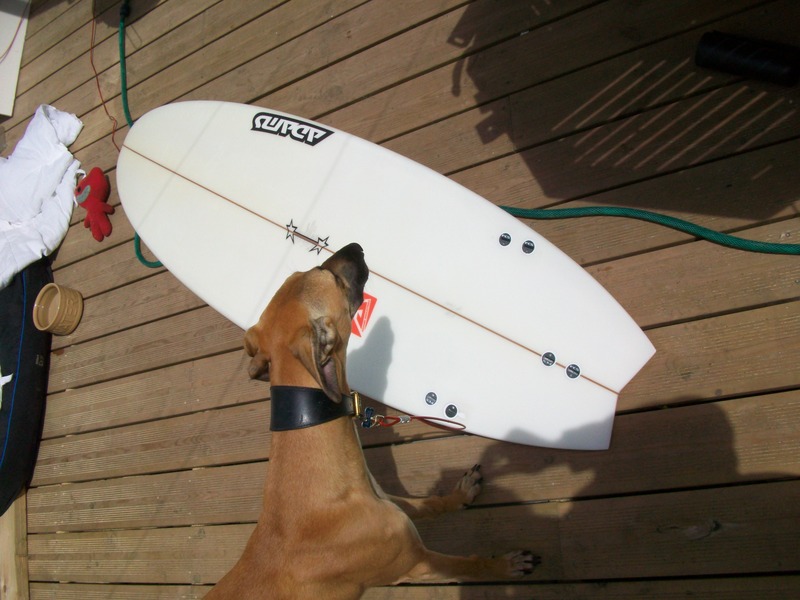 “Ziggy” awoke from his slumber to give his approval. 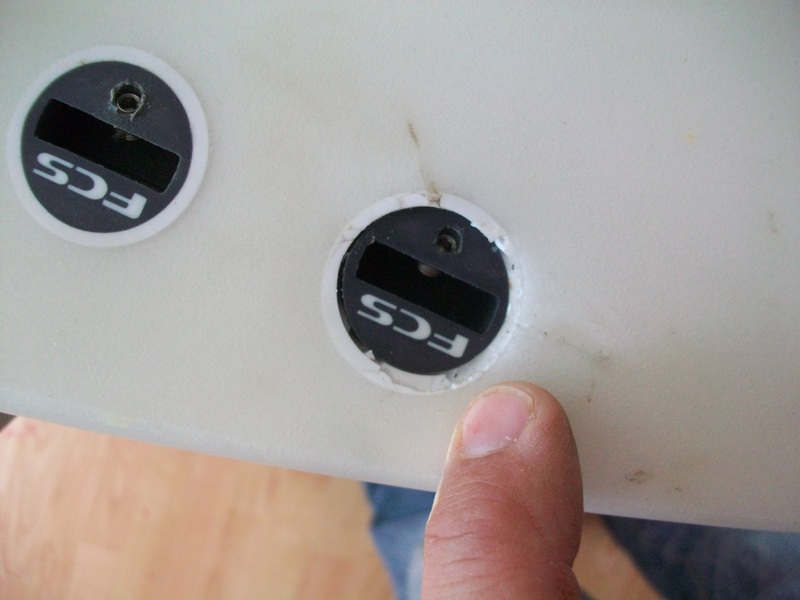 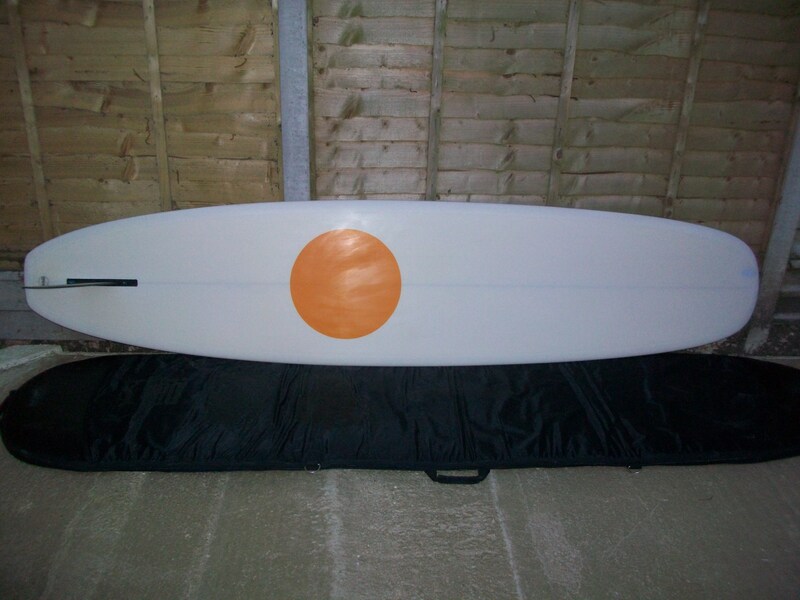 Quality surfboard repairs UK Bmth by Jeff the ding man. 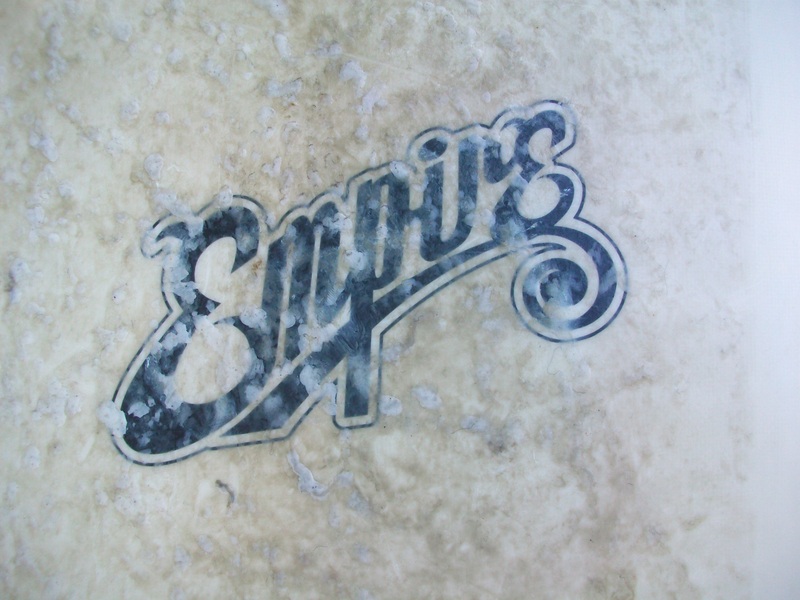 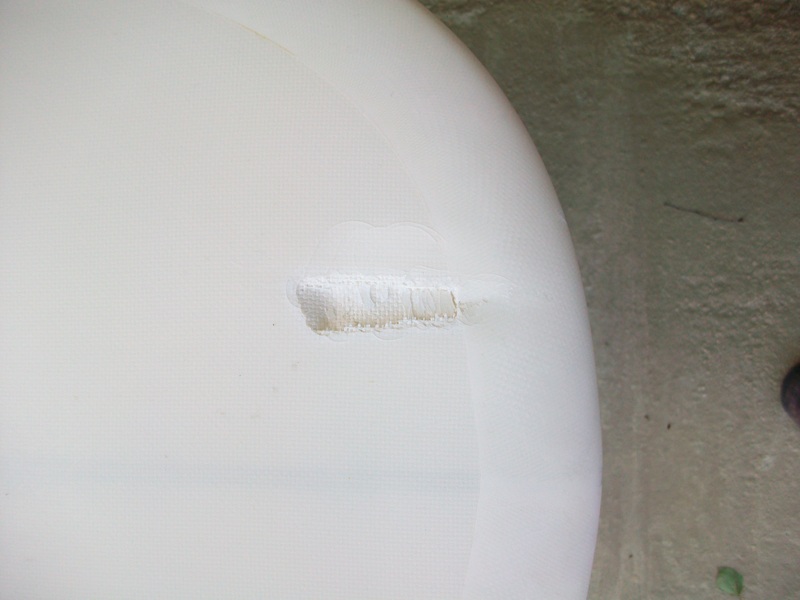 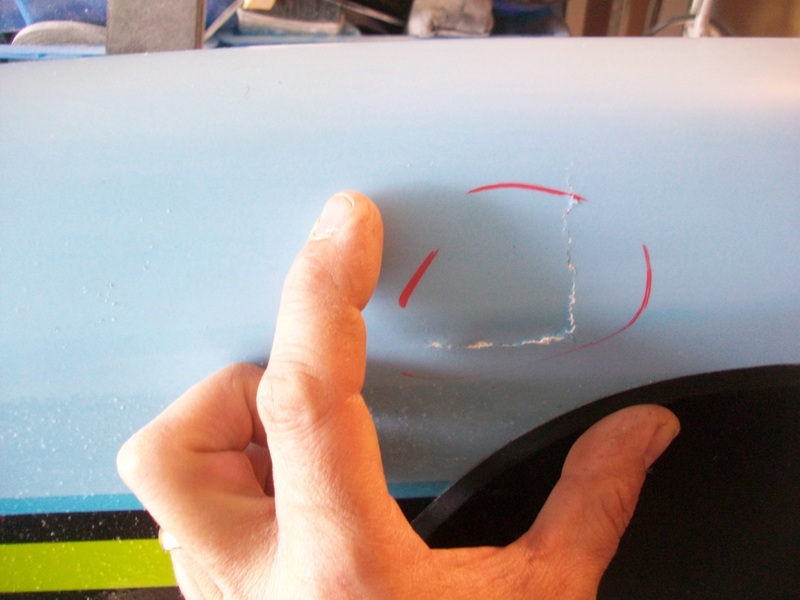 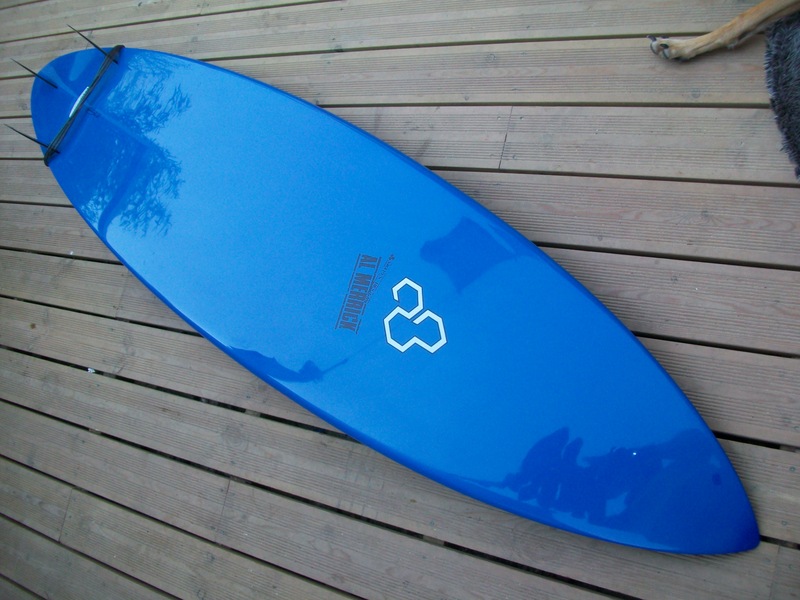 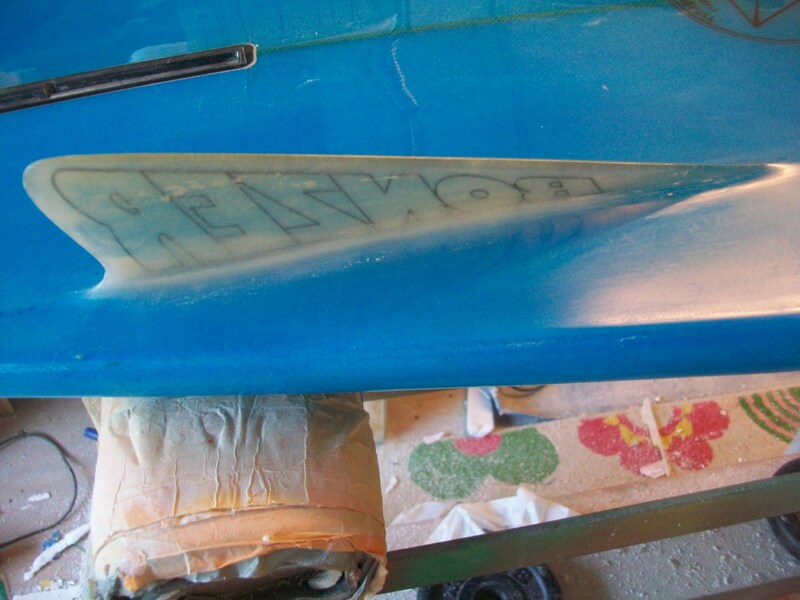 A lovely log from Empire Surfboards in for a small nose ding, click to enlarge to view. 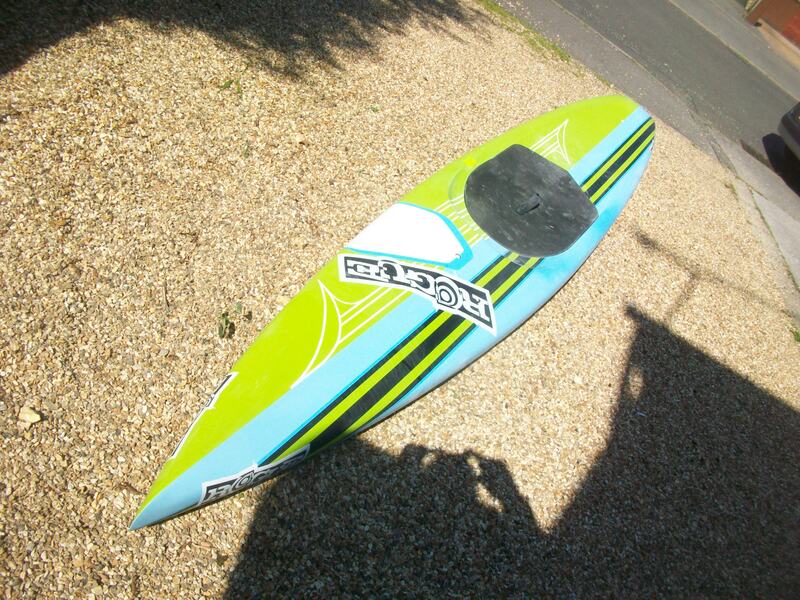 Fathers Day this Sunday don’t forget! 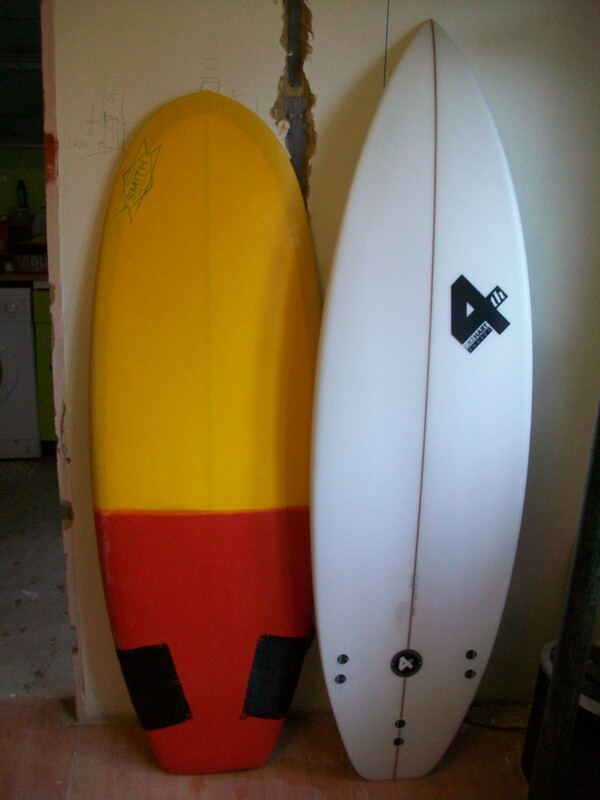 and bespoke surfboards under the “SMITH SURFBOARDS” brand. 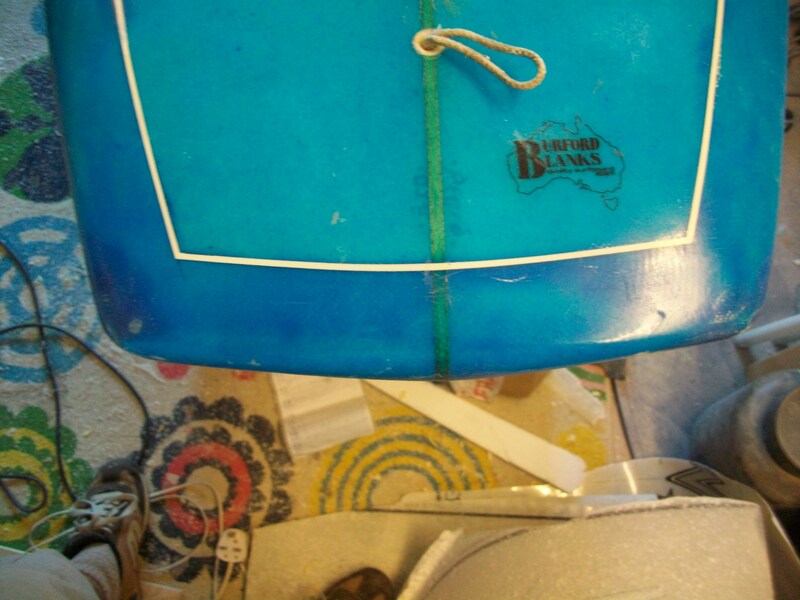 This blast from the past was in for a Rat Rod style resto to get it watertight. 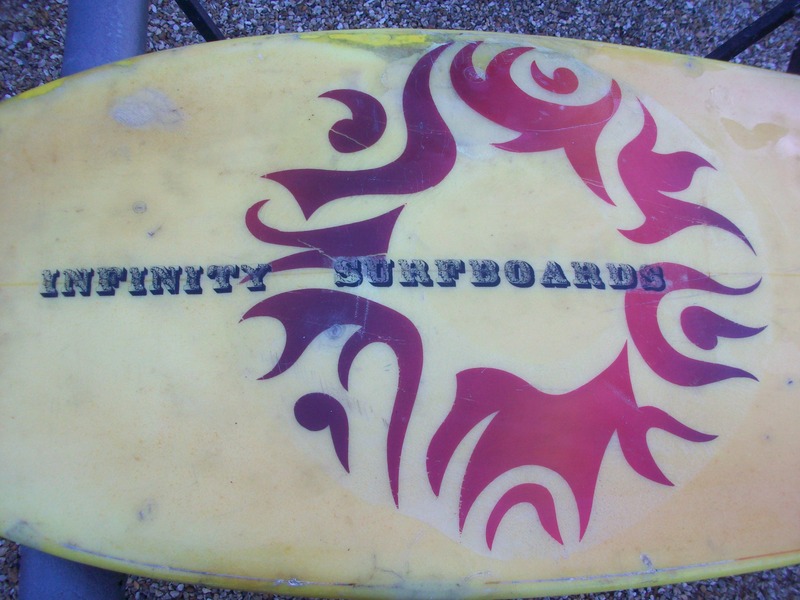 This Board was made in Boscombe when it was still Hampshire, now its Dorset as the boundaries have been moved…guessing it was made in the 70s, note the red glitter fin! 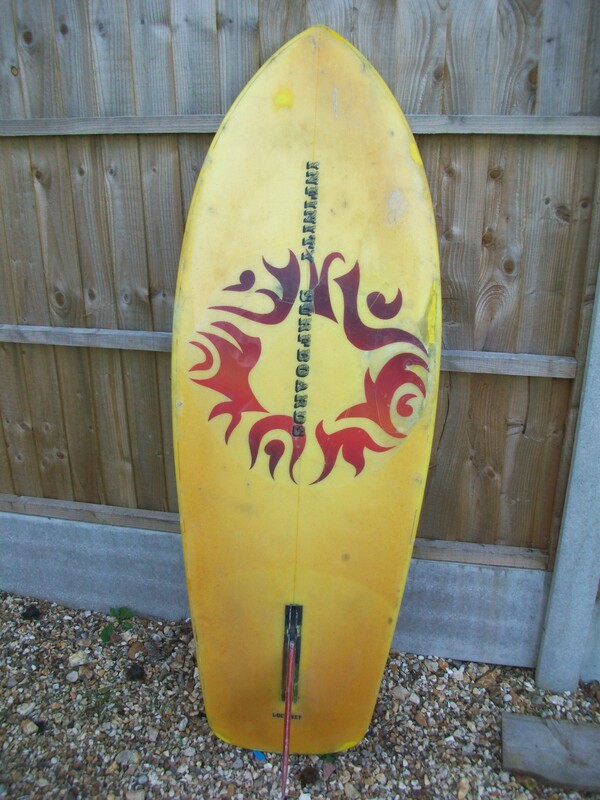 This is a well used Bonzer Bumblebee it shows its history in its patina. 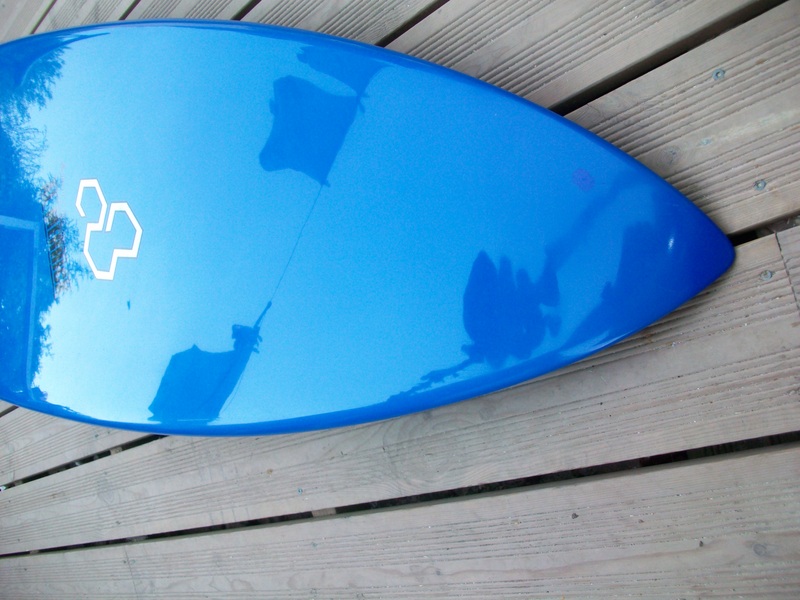 A colorful Rogue SUP in for for minor repair work. 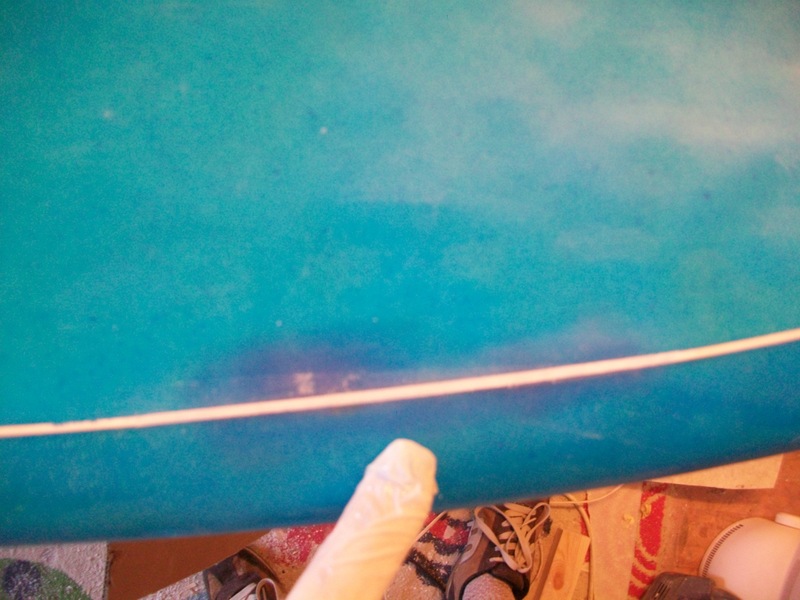 Best to keep to maintain your SUP s integrity to ensure many years of trouble free fun.